When you’re planning a road trip or a weekend getaway, there’s no way youare going to leave your four-legged friends! According to Road and Travel Magazine, 78% of pet owners travel each year with their pets. The challenge is finding pet-friendly accommodations along the way, especially if you are looking for pretentious luxury! 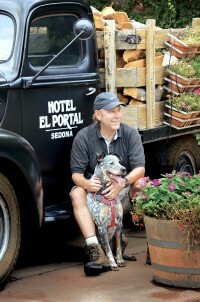 Travelers to Sedona, AZ will find such a place at El Portal, a pet friendly, luxury inn located in the historic arts district of this magical city. 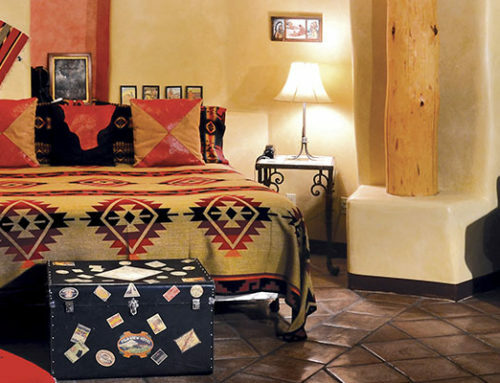 The twelve room boutique hotel was designed and built with painstaking attention to detail, featuring turn of the century Southwestern design, 18-inch thick handmade adobe walls, recycled wood trim and natural native stone. Each spacious room is different, but all have unique features such as museum quality Arts and Crafts furnishings, soaring beamed ceilings or hand-painted detailing. 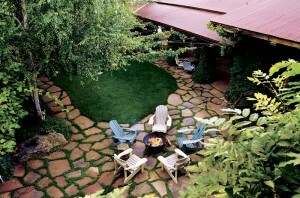 According to owner Steve Segner, the hotel was also built with dogs in mind, including the wood and tile flooring throughout, special dog patios available with some rooms and the designated exercise area on the grounds of the hotel. At El Portal, the goal is for guests to make themselves at home throughout the hotel, as if they are staying in a luxurious and relaxing private home. This goes for pets as well. Dogs are welcome anywhere in the hotel, including at the gourmet breakfast served daily. Guests and their dogs can enjoy the large stone fireplace in the spacious great room or relax outdoors in the central courtyard. 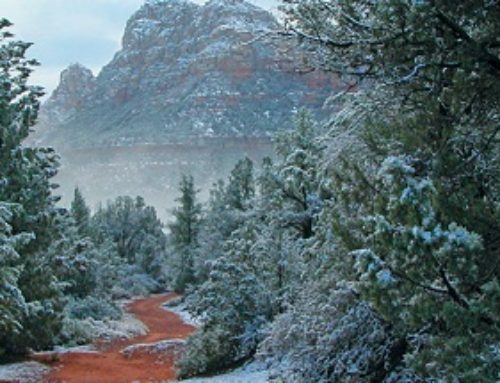 Sedona’s unique culture and spectacular natural setting offer a wide variety of activities for visitors. El Portal is walking distance to Oak Creek, Tlaquepaque Arts & Crafts Village, hiking trails and more. Guests at El Portal aren’t on their own when it comes to choosing from the many activities Sedona has to offer, El Portal has personalized concierge services for the entire Sedona area, even the Grand Canyon! “We don’t just hand you a room key at El Portal. Because we are a boutique hotel, we sit down with our guests every morning, get the maps out and get them started,” says Segner. The staff at El Portal can make hiking and sightseeing recommendations, and arrange picnics, rafting or helicopter excursions. If by chance you need to leave your canine companion behind for a bit, El Portal staff will work with you to make sure your dog is taken care of. They can also recommend a wide variety of pet-related services and resources in Sedona, such as pet friendly restaurants and cafes, veterinary care, grooming, pet supplies and off-leash dog parks. If you’re on the road with your pet or deciding on a spontaneous getaway, contact El Portal for their special last minute rates. What a great way to take advantage of first class travel to an incredible destination with your pet. Contact info@elportalsedona.com for more information or call 1.800.313.0017.